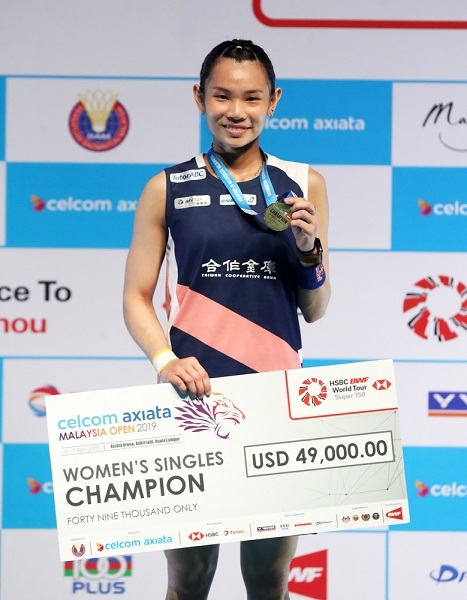 The victory maintains Tai’s consecutive string of triumphs at the Badminton World Federation-sanctioned event since 2017, and brings her tourney total to four. It also represents her ninth win in 15 matchups against Yamaguchi. Tai raced away in the opening game to a 6-1 lead before Yamaguchi pegged her back to 6-4. She soaked up the pressure to finish 21-16. The second was not so easy. Tai fell behind Yamaguchi on nine occasions before regaining her composure to grind out a 21-19 result. Tai said she was happy to have won the annual tournament first staged in 1937, adding that the crowd’s encouragement gave her a lot of confidence.